Envision IT is Microsoft Gold Partner and Authorised Microsoft Software Reseller for Australia and some neighbouring countries. Contact us today for genuine software and best licensing solutions to meet your requirements. Important: Please see Microsoft SQL Server 2008 including R2 version and Windows Server 2008 Including R2 version's 'End of Support' Information below and have a look at SQL Server 2017 and Windows Server 2019 Licensing options by visiting Microsoft-End-of-Support Page. Microsoft licensing can be confusing or mind boggling. It can be daunting for for the uninitiated and those who need to purchase Microsoft once in a while. Then you may need to find the best ways to consolidate your existing decades old set up, consider cloud (or Azure) options, have questions about O365, Microsoft 365, Microsoft Servers, MS Dynamics, Windows, SQL and Exchange Servers, Windows, Remote or SQL CALs etc. We endeavour to simplify Microsoft Licensing for you, enabling make you make informed decisions and reduce your implementation costs by making smart use of licensing options. This page provides reasonable details in a simple manner. However, you need not bore yourself to death by trying to grasp details. Just call us on 03 9802 5516 or email - info@envisionit.com.au or make use of contact us form and we will reach out to you quickly. Our clients trust us because they reach us for any clarifications and we provide simple and easy explanation of terms and quotes! Based in Melbourne, Envision IT is Microsoft Authorised Software Reseller. We are athorised to sell Microsoft Software Licensing Solutions Academic, Autonomous, Business, Charity, Education, Local, State and Federal Government, Government Agencies, Not for Profit (NFP) and other organisations in Australia and neighbouring countries as stated in Sales Region below. This includes Overseas and multinationals organisation that need to buy the Microsoft Licenses locally for their users located in Australia. We sell all types of software licensing ranging from desktop / device products such as Windows for Desktops, Tablets, IoTs, Office for devices or cloud, O365, Microsoft 365, Windows Server, SQL Server, MS Exchange, MS Dynamics, MS Project, SharePoint etc. We assist in 'On-premise', 'On-Cloud' or 'hybrid' implementations. Office 2019 and Office365 2019, Windows Server 2019 and MS SQL 2017 are Released! MS SQL Server 2008 and 2008 R2 reach end of support on 09 Jul 2019 and Windows Server 2008 and 2008 R2 reaches end of support on 14 Jan 2010. Please find more information on this end of support, your upgrade options and considerations for upgrade by visiting - Microsoft End of Support page. Envision IT is authorised to sell Microsoft Licensing Solutions to Customers or multinational organisations with users located in: Australia, Christmas Island, Cocos Islands, Cook Islands, Fiji, French Southern Territories, Heard Island and McDonald Islands, Kiribati, Marshall Islands, Micronesia, Nauru, Niue, Norfolk Island, Northern Mariana Islands, Palau, Papua New Guinea, Pitcairn, Solomon Islands, Tokelau, Tonga, Tuvalu, and Wallis and Futuna Islands. In addition, we are the only resellers for Bing Maps ISV Licenses for both Australia and New Zealand. Friendly Service, Simple and Clear Prices! We take pride in our friendly service, simple and clear prices and prompt obligation free quotes. If we can't help you, we can find someone who can! Call us today for a friendly chat. We endeavour to assist you. Therefore, no query is trivial. Whether you are a small organisation, charity or a large business, you can trust us from a a single user O365 license to enterprise wide Windows Server, SQL Server, MS Exchange, Skype Business (Lync) or Microsoft Teams, Azure, Azure Migration etc. We are here to enable making an informed decision and get you the best possible prices. We are Microsoft Volume Licensing Certified Specialists. We sell Microsoft Software to all types of users and plans. From us, you can buy CSP (Monthly, and soon, yearly), Volume Licensing (VL), OEM, Retail, Subscription, Cloud, On Premises, Perpetual, Education, Academic, Charity, Not for Profit (NFP) and for profit, commercial organisations. We are Microsoft Resellers for a wide range of Microsoft products such as Azure (we also assist in Azure set up and migrating your applications), Microsoft Office, Office 365, Business, Dynamics, Exchange Server, MS Project, SharePoint Server, SQL Server, Windows, Windows Server under Academic, Business, Charity, Commercial, Not for Profit (NFP), OEM, Retail and Volume Licensing programs. We offer Azure Migration, Server and Office 365 installation support. Onsite support is available only in Melbourne Metro region. Additionally, we are Microsoft Bing reseller for Australia and New Zealand. This covers Bing Maps Volume License reselling in Australia and Bing Maps ISV Licensing in both Australian and New Zealand. Please find more information on Bing Maps Licensing by visiting Microsoft Bing Reseller for Australia and New Zealand. We offer deep discounted Microsoft Licensing for Academic, Charity, Education and Not for Profit (NFP) Organisations. Our simple and easy approach has made them as our fastest growing segment. To avail Microsoft Licensing for Academic and Education, you must be registered with them. The Charity and Not for Profit need to register with - Connecting Up for most of the license type. For O365 however, please register at: Microsoft Office 365 for Not for Profit (NFP) and Charity - Prices and Plans. You will be surprised to see the support Microsoft offers to you by providing deep discounted prices. Apart from Office 365 for eligible Charity / NFP, we cover entire Microsoft Licensing portfolio e.g. Windows 10 Under VL, Servers, CALs, Dynamics, SharePoint, Visual Studio etc. If you do not see a product that you are looking for, just contact us. 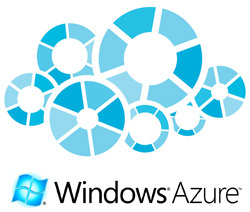 Microsoft Azure opens a door (or a Window with loads of Applications) to cloud world. You can migrate your on-premise applications to Microsoft Azure Cloud or develop something entirely new! When you engage us, we not only ease this process but also carry our the much needed business and digital transformation, user training and transition to new systems. Most importantly, we do so within fixed costs and short timeframes. So if there is a complexity involved and failure is not an option, just contact us. Volume License for Office Professional Plus, Office Standard, and Office 365 ProPlus. Compare and know more about Microsoft Office versions. We cover all versions such as Office 2019 (latest version). Older versions such as Office 2016 and Office 2013 are available through downgrade rights. Other versions may be available through soft assurance under downgrade rights. Please ask for Retail and OEM Office products that are not available through Volume Licensing. Academic users have benefit of free online license of O365. Please contact us to know more about O365 licensig for Academic, Charity and NFP purposes. Please be advised that Academic Organisations must be registered with Microsoft. We will provide a form for you to fill. Charity and NFP Organisations on the other hand should register directly by visiting: https://nonprofit.microsoft.com/#/register . Please contact us if this link has changed or not working. Windows 10 is current version: Windows 10 has two main editions i.e. Windows 10 Professional and Windows 10 Standard. In general, you purchase these alongwith devices as OEM License. 'Windows 10 Pro' and 'Windows 10 Enterprise' through VL are upgrade licenses. This means you require an underlying qualifying license for these products e.g. Windows 7 Pro, Windows 8 Pro or even Windows 10 Pro. Please see below details of Windows 10 under Volume License. You can obtain some older versions through software assurance and downgrade rights after you purchase Windows 10. You can upgrade selected older versions of Windows e.g. Windows 8. As not all older Windows versions and editions can be upgraded, please provide us a list of Windows Versions and we will advise on eligibility for upgrade. Please ask for Retail and OEM Office products that are not available through Volume Licensing. Windows 10 Under Volume License: Windows 10 under volume license is an 'upgrade' license. This means that you must have a qualifying underlying license to implement Windows 10. The underlying qualifying license could be with you as OEM license you obtained with your hardware or retail product that you purchased. There are several benefits of Windows 10 Pro under Volume License. Volume License is the only way to obtain Windows 10 Enterprise version. Windows 10 under volume license is available to all types of clients e.g. Academic, Autonomous bodies, Business, Charity, Government, Not for Profit etc. Overview: Microsoft Windows Server 2019 is current version. Microsoft Windows Server is available in 3 editions i.e. Datacenter, Standard and Essential. The Windows Server Datacentre and Standard editions are designed for non-SMB organisations e.g. academic, businesses, charity, education, government, not for profit (NFP) etc. On the other hand, Microsoft Windows Server Essential Edition is designed for small user base organisations with 25 or less users OR 50 or less devices. You obtain earlier versions of Windows Server e.g. Windows Server 2016, Windows Server 2012 etc. through downgrade rights. Licensing Windows Server 2019: Microsoft Windows Server licensing now is 'core based' for 'Datacentre' and 'Standard editions'. This means, you purchase license for the number of cores on your physical server. Minimum number of cores to be purchased is 16.These can be split in up to two CPUs i.e. 8 Cores Per CPU. When your server has more cores, you purchase multiple licenses. For each user or device, you need to purchase 'Windows Client Access license(CAL). Compared to this, Windows Server Essential 2019 is a speciality server license i.e. NOT core based but it restricts the number of users to 25 and devices to 50. You do not need CALs for Windows Server Essentials 2019. Windows Server CALs: You require Windows Server CALs to access windows server. You can purchase CALs on a 'User Basis' or a 'Device Basis'. When purchased on user basis, a user can access Windows Server through upto 5 devices. On the other hand, when purchased on 'device' basis, the use is restricted to devices. Virtual Machine (VM) entitlements in Windows Server: By default, Windows Server Datacentre Edition provides unlimited VMs while Standard Edition offers only 2 VMs per server. To add more VMs to a Standard server, you purchase multiple windows server licenses. This is helpful when you need more than 2 VMs but the number of VMs needed is a small. Windows Server Remote Desktop or Remote Access: To provide 'Remote Server Access' to users, you need to purchase RDS CALs in addition to Windows CALs. Software Assurance: Software Assurance many benefits such as new product version rights, saving of up to 40% when you bring your Windows Server to cloud, six years additional support for 'End of Life' products. Software Assurance is mandatory for 'Server Farm' implementation. Please ask for Retail and OEM Office products that are not available through Volume Licensing. Implementation, configuration and Migration services available in Melbourne and Australia-wide, through Remote Access. Current version of MS SQL Server is 2017. You can buy Microsoft SQL Server 2017 based on computing power or the number of users or devices. Most common way to buy MS SQL is through Volume Licensing. You can obtain older versions such as MS SQL 2016 or MS SQL 2012 under downgrade rights when you purchase MS SQL Server 2017. MS SQL server 2017 comes in two editions i.e. Enterprise and Standard. Older editions such as MS SQL Business Intelligence (BI) Editions are no longer available. Both the licenses are Core based i.e. you need to license all cores. The cores however can be VCPU cores. Please ask for clarification before ordering this. The MS SQL Standard Edition requires Client Access Licenses (CALs).The CALs can be 'User' or 'Device' based. You do not need CALs with MS SQL Enterprise Edition. For deployment over server farms, you will need Software Assurance (SA). Besides this requirement, Microsoft SA has several other benefits, Software Other versions may be available through soft assurance under downgrade rights. Please call or email us for MS SQL Retail and OEM Office products and specially priced MS SQL for Charity, Education, Not for Profit (NFP) etc. that are not available through Volume Licensing. Implementation, configuration and Migration services available in Melbourne and Australia-wid, through Remote Access. Volume Licensing. Onsite Implementation, configuration and Migration services available in Melbourne. Remote Access Support available Australia-wide. Volume Licensing. On-site Implementation, configuration and Migration services available in Melbourne and through Remote Access, Australia-wide. Further, you can also purchase Bing Maps License for MS Dynamics. Buy Under Volume Licensing or under CSP Plan. Implementation, configuration and Migration services available in Melbourne. Buy Under Volume Licensing or Cloud Business Plan. Implementation, configuration and Migration services available in Melbourne. Volume License, product Sales, Implementation and configuration of Microsoft Visual Studio Development Environment such as Visual Studio Ultimate, consulting to optimise your development set up most cost effectively. Bing Maps: Bing Volume Licensing and Bing ISV Licensing for ISV Solution Developers. Development support available for Australian and worldwide customers. 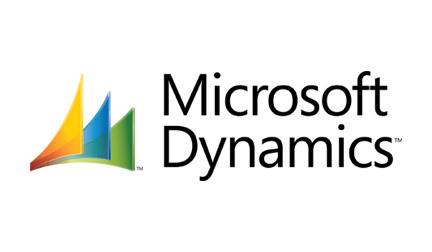 Microsoft Dynamics: Buy Under Volume Licensing or under CSP Plan. Implementation, configuration and Migration services available in Melbourne. Microsoft Exchange: Buy under Volume Licensing, Azure. Implementation, configuration and Migration services available in Melbourne. Microsoft Lync: Volume Licensing. Implementation and configuration services available in Melbourne. Office 365: Volume License for Office Professional Plus, Office Standard, and Office 365 ProPlus. Compare and know more about Microsoft Office versions. We cover all versions such as Office 2016 (latest version) and Office 2013. Other versions may be available through soft assurance under downgrade rights. Please ask for Retail and OEM Office products that are not available through Volume Licensing. 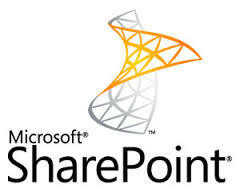 Microsoft Sharepoint Volume Licensing. Implementation, configuration and Migration services available in Melbourne. MS SQL Server: Microsoft SQL Server 2014 and 2012, Enterprise, Standard and Business Intelligence (BI) Editions, Client Access Licenses (CALs). Other versions may be available through soft assurance under downgrade rights. Please ask for Retail and OEM Office products that are not available through Volume Licensing. Implementation, configuration and Migration services available in Melbourne. MS System Centre: Volume Licensing. Implementation, configuration and Migration services available in Melbourne. Microsoft Windows OS Windows 10 and Windows 8. Other versions may be available through soft assurance under downgrade rights. Please ask for Retail and OEM Office products that are not available through Volume Licensing. MS Windows Server Windows Server 2014 and 2012, Datacenter, Standard, Essential and Foundation Editions, Client Access Licenses (CALs). Other versions may be available through soft assurance under downgrade rights. Please ask for Retail and OEM Office products that are not available through Volume Licensing. Implementation, configuration and Migration services available in Melbourne. MS Visual Studio Volume License, product Sales, Implementation and configuration of Microsoft Visual Studio Development Environment such as Visual Studio Ultimate, consulting to optimise your development set up most cost effectively.